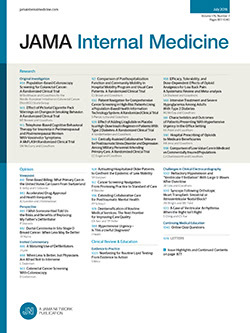 To the Editor As an academic investigator living with type 1 diabetes, I have 3 concerns about the article “Association of a Blood Glucose Test Strip Quantity-Limit Policy With Patient Outcomes: A Population-Based Study”1 by Gomes et al published in a recent issue of JAMA Internal Medicine. First, although the study by Gomes et al1 claimed to address the policy impact for all blood glucose test strip users—going so far as to advocate for consideration of such a blanket policy in other jurisdictions—its analyses are incomplete, particularly for those patients most likely to experience harm from imposed limits: high–test strip users who use insulin. Gomes et al1 claim that the limit on blood glucose test strips resulted in no indication of patient harm. However, they analyzed only emergency department visits and glycated hemoglobin test results. While these are important indicators and it is good news to see no indication of harm on these measures, it is misleading to claim lack of harm when other, more patient-centered outcomes were not assessed. For example, harm could occur among people taking insulin through decreased quality of life from attempting to use only 8 test strips per day or through decreased ability to adhere to guidelines recommending test strip use immediately before and every 4 hours while driving a vehicle.2 A rigorous study aiming to rule out patient harm among all groups of test strip users would not have relied solely on administrative data. Additionally, due to insufficient sample size, Gomes et al1 were unable to perform sensitivity analyses among high–test strip users who use insulin. Neither the abstract nor the Key Points highlight the limited generalizability with respect to insulin users.